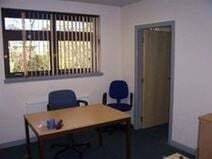 This office building is located on the outskirts of Glenrothes, offering recently refurbished offices that vary in styles and sizes. Tenants have the option of open plan or cellular business space, depending on individual preference. Rent is inclusive of all utility bills, services charges, facilities management and building insurance. There are many on-site car parking spaces for tenants use. The property features a common reception area and on-site meeting rooms. 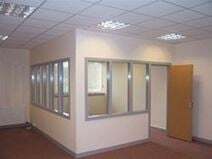 A recently constructed two-storey building offers a number of office spaces close to Glenrothes town centre. Complete with gas heating, kitchens and secure entry, as well as extensive car parking. Meeting room facilities also available. An adjacent retail park provides a variety of amenities on the door step, while the town centre is in easy reach. Glenrothes train station provides easy access to Edinburgh, while Kirkcaldy main line station is also within easy reach, as is the M90 motorway. 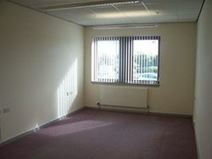 A variety of office accommodation within a recently built complex in Glenrothes' Saltaire Centre. Complete with kitchens, toilets, secure door entry, and gas heating, as well as ample car parking. Meeting room facilities also provided. Glenrothes town centre is extremely close, while the adjacent retail park offers amenities close at hand. Glenrothes railway station offers regular services to central Edinburgh, while Kirkcaldy mainline station and the M90 motorway provide excellent links to the rest of Scotland. A modern two storey complex in Glenrothes provides a range of office suites. Complete with kitchen and toilet areas, door security and CCTV, gas heating and ample parking. Meeting room facilities can also be provided. Glenrothes town centre is only a mile away, while the adjacent retail park offers a range of amenities at close hand. Excellent transport links, with Glenrothes train station ensuring easy access to central Edinburgh and nearby Kirkcaldy station providing main line services, while the proximity of the M90 provides excellent links to the motorway network. 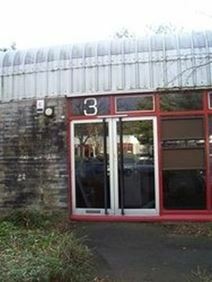 Contemporary building provides a variety of office accommodation in Glenrothes' Saltaire Centre. Carpeted, with heating, toilets and alarms. Meeting room facilities are also available. The adjacent retail park and Glenrothes town centre provide a range of local amenities, while Glenrothes train station provides services into central Edinburgh. Nearby Kirkcaldy train station provides main line services, and there is easy access to the M90 motorway.